I called Ed Reed and asked him about the impending Hall of Fame announcement. Reed, who retired after the 2013-14 season, is one of 15 finalists to have their fate decided by the Hall of Fame committee this weekend. Although it would be natural for him to have some anxiety, Reed, a friend and former teammate of mine, responded as calmly as I expected. “Not at all,” he said, after directing contractors to wipe their feet on the mat as they came into his Atlanta-area home. Despite being the epitome of a modern NFL safety for a generation, Reed wasn’t calm because of certainty about the outcome. “Who knows what they’ll do?” he said. It came from an understated, intrinsic self-assuredness that showed in the way Reed played, breaking the rules of covers when his football supercomputer mind calculated an opportunity, and in the way he has always presented himself. Reed has never been a trendsetter or a trend follower. His clothes and hair have always made him look more like a Delta Blues musician rolling to his next gig than a superstar athlete. After a couple of seconds of silence, he said to me, “I hope Atwater gets in,” referring to Steve Atwater, the Denver Broncos’ All-Pro safety in the ’90s who has been repeatedly snubbed. Reed’s deep respect for the position he perfected and the players who came before him bubbled up during a conversation that should have been focused on him. “As far as safeties go, he is one of the best to ever do it,” Reed said before recounting Atwater’s most iconic play. In 1990, Reed watched the Week 2 Monday night game, Kansas City Chiefs at Denver Broncos, when 253-pound Chiefs running back Christian “The Nigerian Nightmare” Okoye, who had become an All-Pro by barreling over and through defenders, rumbled into the Broncos’ defensive backfield. In just his second season, the 218-pound Atwater did the unimaginable: He met Okoye head to head. And knocked him back. Reed expounded on the virtues of Hall of Famer Ronnie Lott as I listened silently. Without a pause, he took the conversation to Hall of Fame Seattle Seahawks safety Kenny Easley. Reed rattled through descriptions of the best players at his position like a safety sommelier. Then he went deep into the vintage and pulled out a 1948 “you gotta watch some Emlen Tunnell highlights.” Reed raved about Tunnell’s prowess returning interceptions, a skill for which Reed himself is known. Reed’s 107-yard return in 2008 is an NFL record, which beat his 106-yarder from 2004. Neither of those plays was Reed’s most memorable, however. I would imagine it’s hard to choose a single most memorable play from a 13-year career with 64 interceptions and 13 touchdowns, but he did. And on that play he didn’t record a single stat — not a tackle, interception or even a deflection. It was the game-sealing interception by former Baltimore Ravens cornerback Cary Williams in the January 2013 AFC Championship Game in Foxborough, Massachusetts, against the New England Patriots. It all played out just as Reed foresaw, as so many other plays had over the years. Ed Reed (center) of the Baltimore Ravens celebrates after intercepting a pass from Colin Kaepernick (left) of the San Francisco 49ers in the second quarter of Super Bowl XLVII at the Mercedes-Benz Superdome on Feb. 3, 2013, in New Orleans. 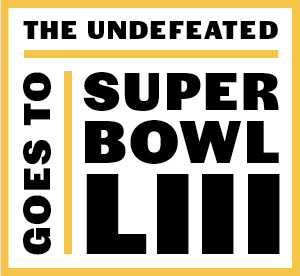 In the Super Bowl, Reed intercepted Colin Kaepernick, giving him his ninth postseason interception, which tied him with Lott for most career postseason interceptions. The Ravens went on to win the Super Bowl in New Orleans, Reed’s hometown. Reed was always an outspoken presence in the locker room, but much less so to the public. But when you’ve had the career he’s had, the individual attention will come. But he believes that he owes them so much more than kind words. And, if they are responsible for instilling the values and drive that guided and fueled the best safety many of us have ever had the privilege of watching, we all owe them at least a thank you.